Registered Name: Serenity's King of Hearts II "Benji"
Benji an energetic lovable boy. Who has the personality of his sweet dad Brinkley. He has passed all his testing we are excited to have him join our breeding program. Benji lives in his Guardian Home in Chico, CA. 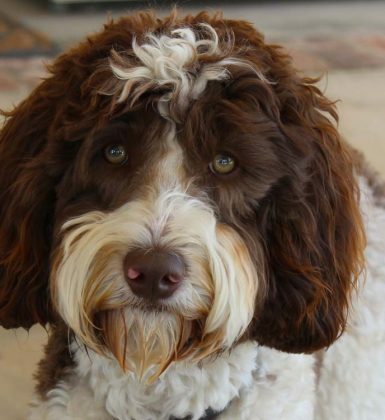 We are very excited about adding Brinkley to our breeding line. He has an awesome fleece coat. Great confirmation and stocky build. He is one happy boy, loves to give Doodles Hugs & Kisses, such a love. 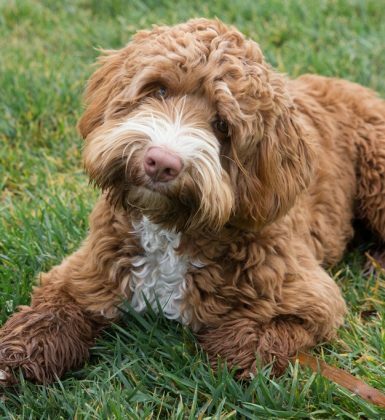 Brinkley has already produce some beautiful pups with great temperaments, we are so excited about having him in our breeding program. Thank you, Valerie See from Memory Lake for such a precious boy. Brinkley lives with his guardian home in Chico, CA. Findley is a happy go lucky boy, who loves playing with his human sisters. With lots of kids visiting in his Guardian Home, he fits right in with his gentle disposition. He comes from wonderful therapy lines. 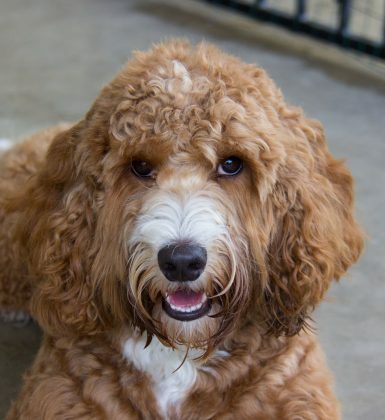 We can’t wait to see what beautiful puppies Findley will bring to our program. Findley lives in his Guardian Home in Chico, Ca. 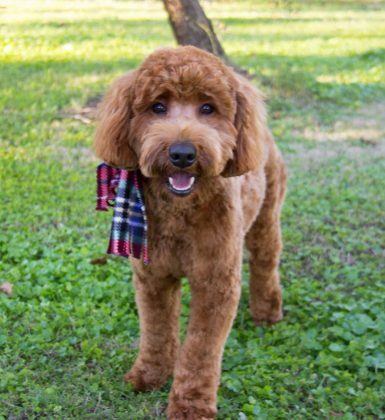 Registered Name: Aptos Labradoodles Rising Sun "Reese"
Reese has the most beautiful Red Fleece coat. He has a sweet disposition and loves everyone. Reese loves hanging out with his Guardian mom. We are excited about having him as part of our breeding program. Reese lives in his Guardian Home in Paradise, Ca.